The durable and smooth coating is impervious to organic solvents, salts, weak acids and weak alkalis. Available in orange, green and blue. 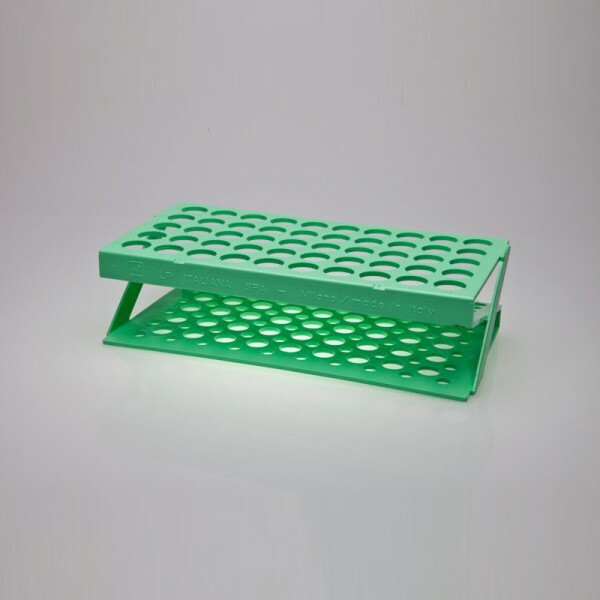 Per each The Poxygrid® ""Half-Size"" is an ideal space-saver, perfect for use in water baths, under fume hoods, and other limited space locations. Available to hold 10-13 or 15-16 or 18-20mm diameter tubes. 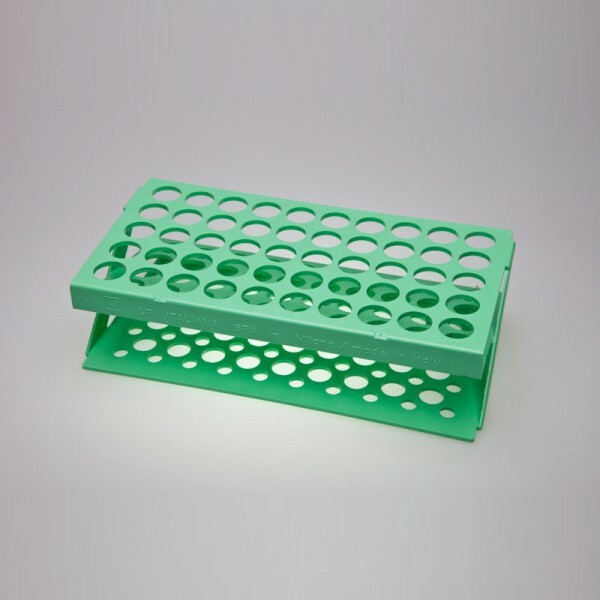 Withstands temperatures ranging from -223C (-369F) to autoclaving at 121C (250F) and can be autoclaved.